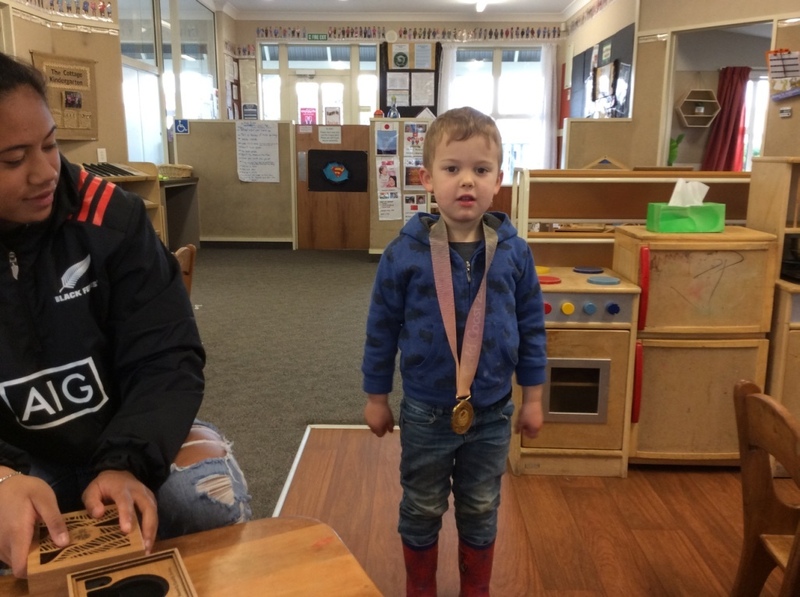 The Cottage Kindergarten are encouraging tamariki to help and support each other and that all tamariki can be super hero's in their own right, particularly when they help others to achieve. To extend on this The Cottage kaiako/teachers have started a Community Role Model Project where they look at local super hero's as role models for the tamariki. 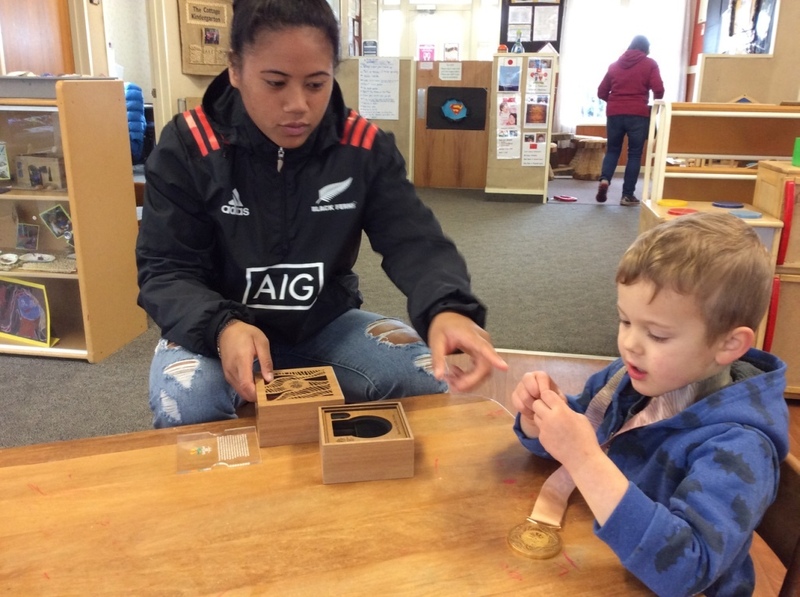 One local hero to visit and speak with The Cottage tamariki was Alena Saili from the Black Ferns. It was inspiring to hear about Alena's achievements. At 19 years old and already getting to such an amazing level of achievement, a great role model for the tamariki. They even had the privilege of trying on her commonwealth gold medal! Thank you to our local super hero's Alena and to kaiako Rebecca for organising this visit.